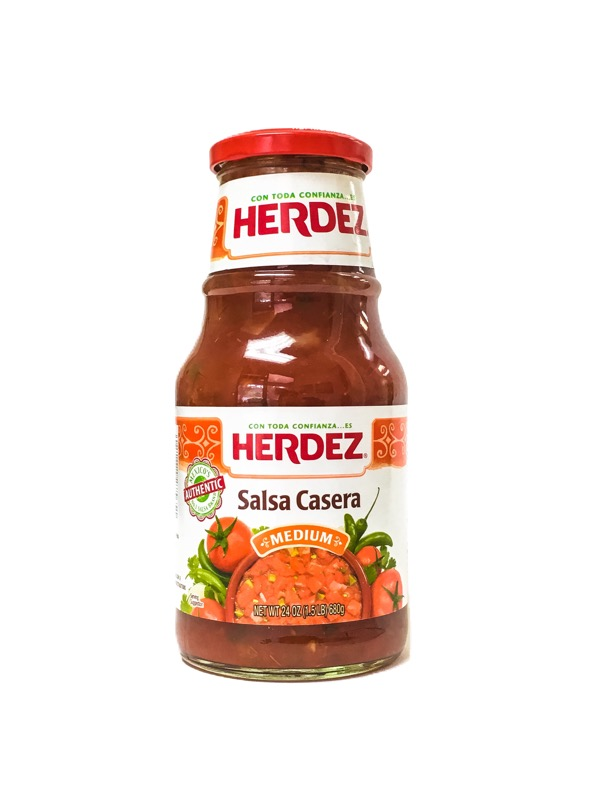 Salsa Casera Herdez Medium 24 oz. Had this in Mexico last summer and loved it...Was so happy to find it here !! Tried Herdez in San Antonio. Took a jar to relatives in NY. They loved it so I sent them a case!!! This is so useful, as a snack with chips or added to any dish to make it better. 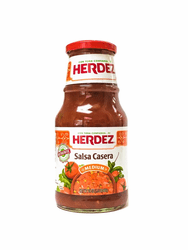 This is the best salsa your gonna get in a jar, and its a healthy alternative from most snack food. Yep, I've been looking for this salsa for two years, to replace a salsa which Tostitos used to make called 'Tostitos Restaurant Style Salsa'. This is all natural and fantastic!! !